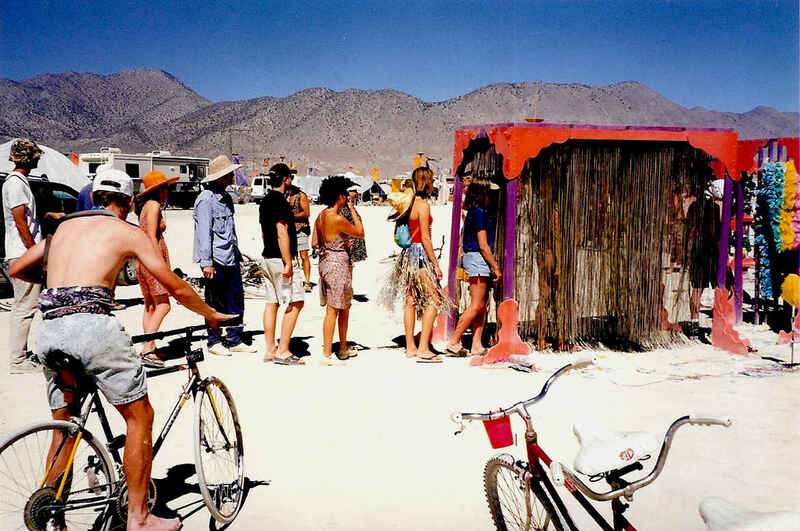 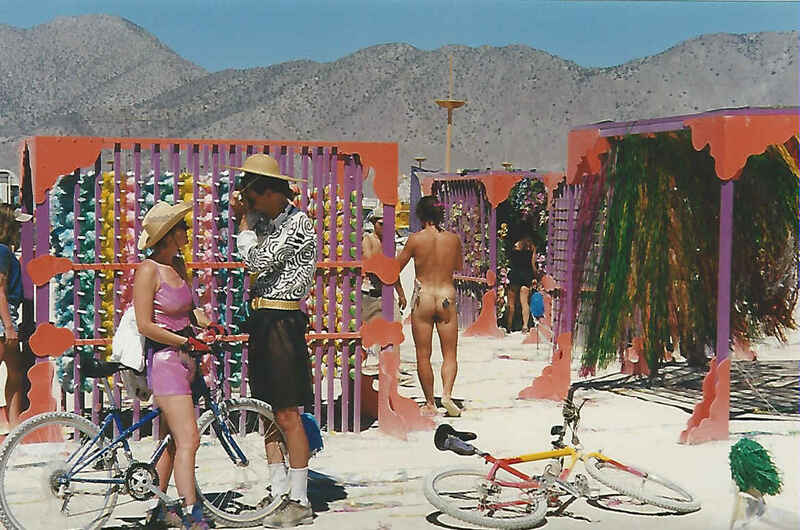 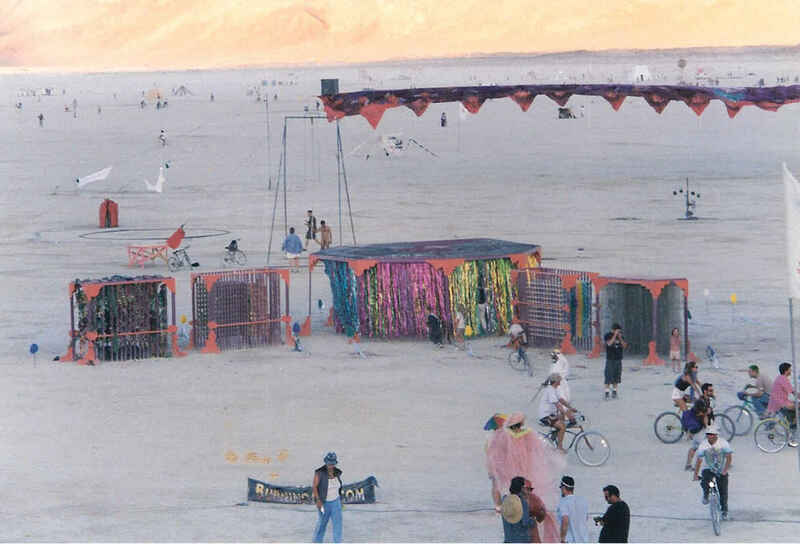 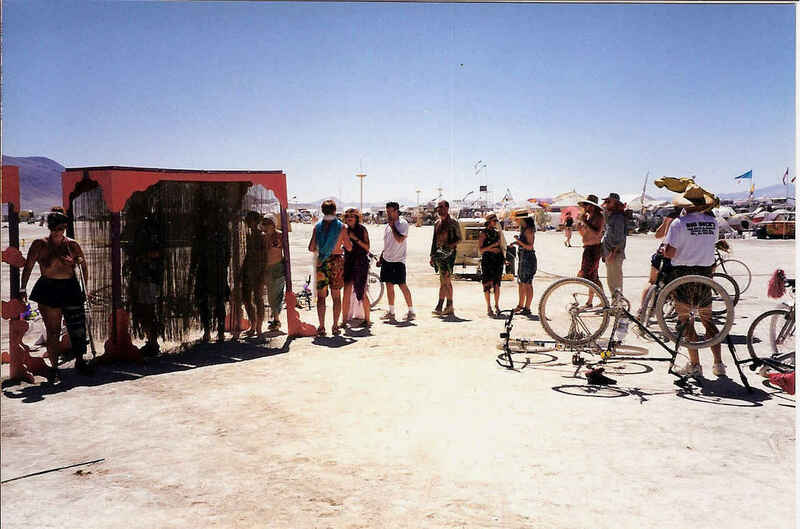 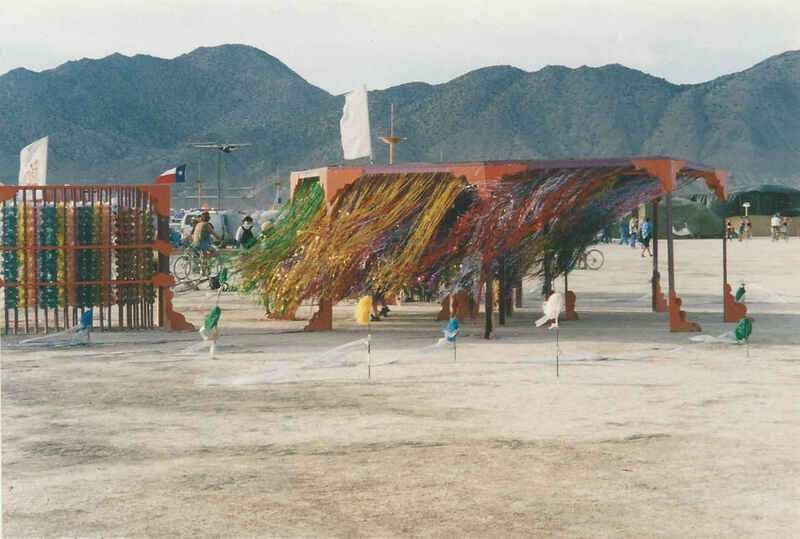 The octagon with its Mylar curtains was great fun, but led to Mylar strips being strewn across the playa, leading to a ban on more Mylar curtains in BRC installations. 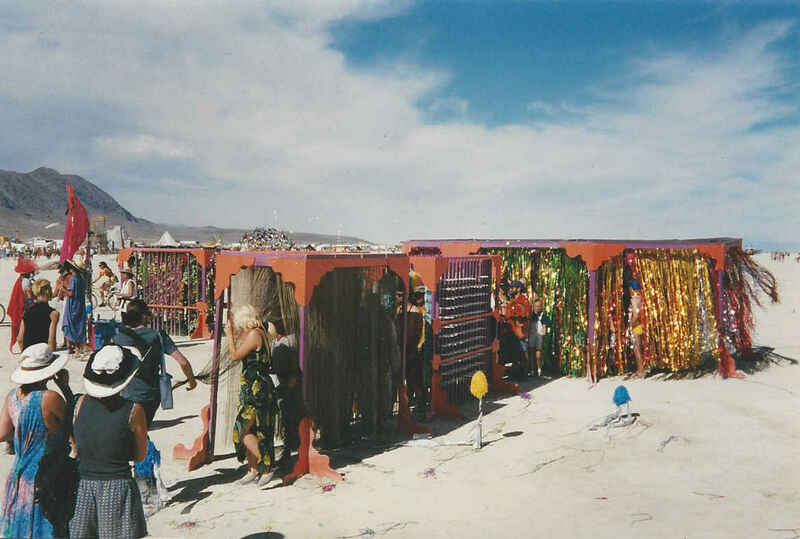 Likewise, the 250 feather dusters resulted in feather bits being strewn across the playa; and a ban on feather dusters and feather boas in BRC. 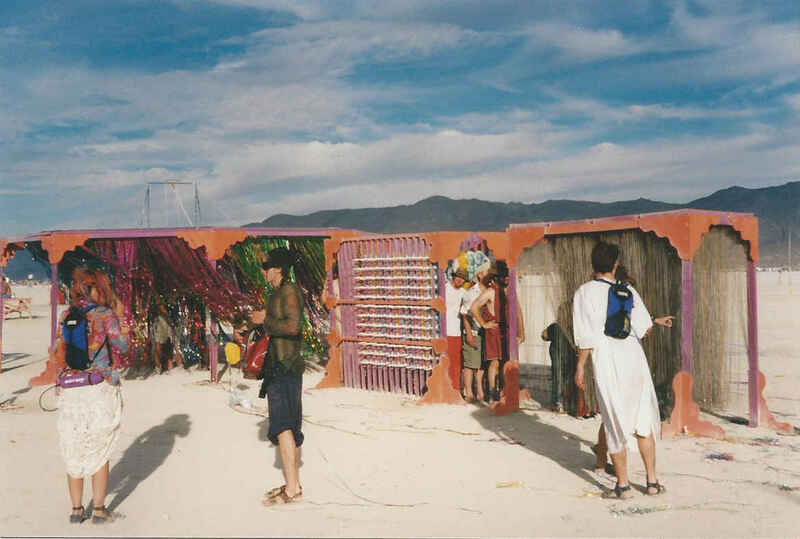 With the 24-foot wide octagon, and the four eight-foot long corridor elements, and the support struts, and the breathing space between them, this installation was about 80-feet long. 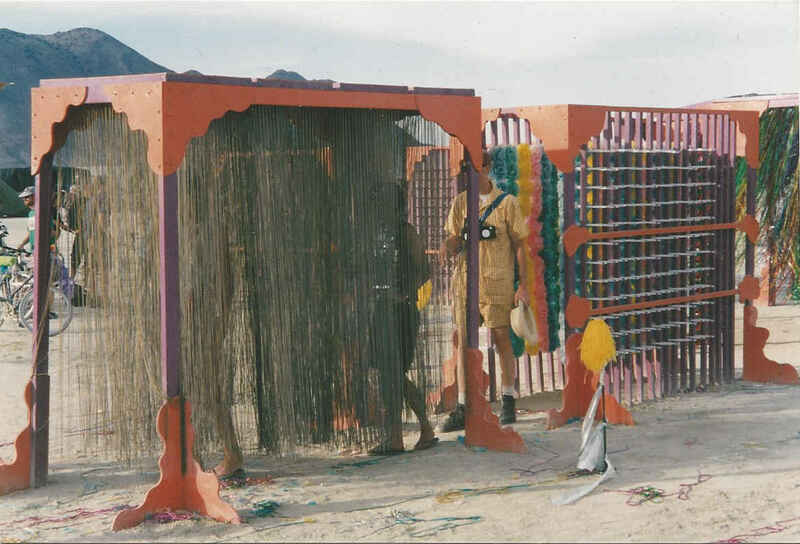 With this installation, I exhausted the variety of elements I could find more-or-less off the shelf that might serve as clustered tactile elements. 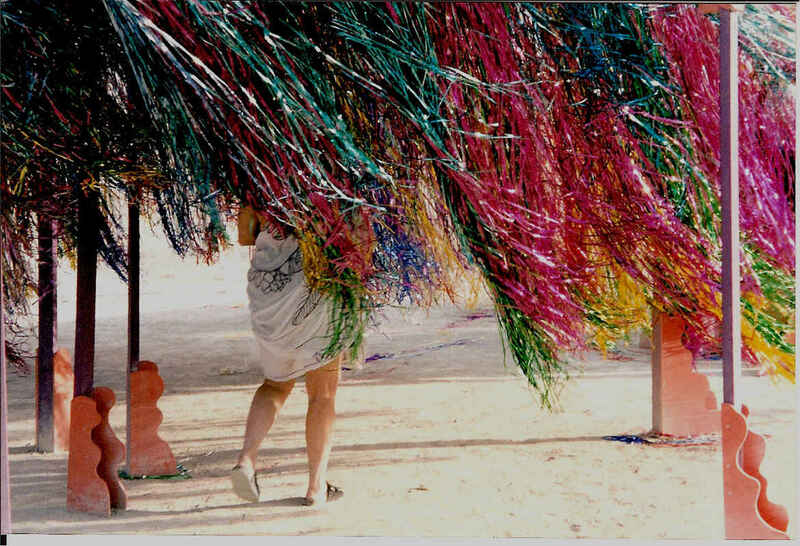 I had used feather dusters, paint brushes, ball chain, kitchen sponges, Koosh balls, soft balls, and more clustered elements. 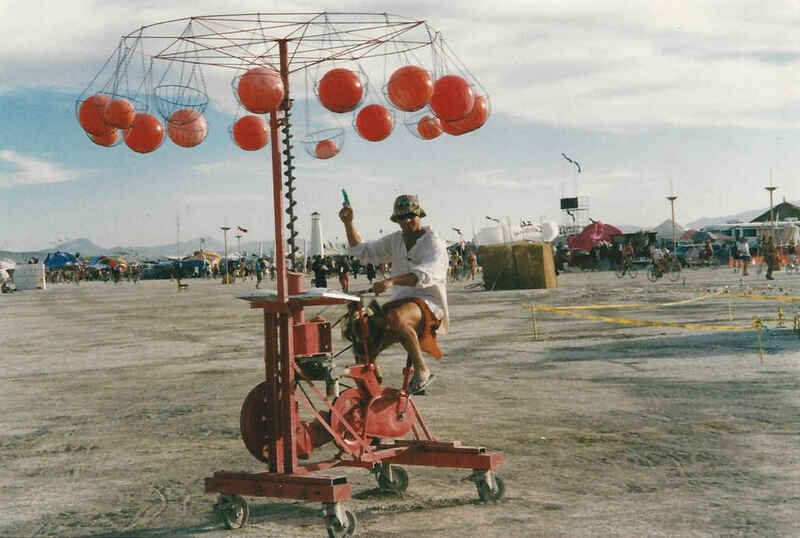 The next step was consideration of manufacturing elements for this purpose. 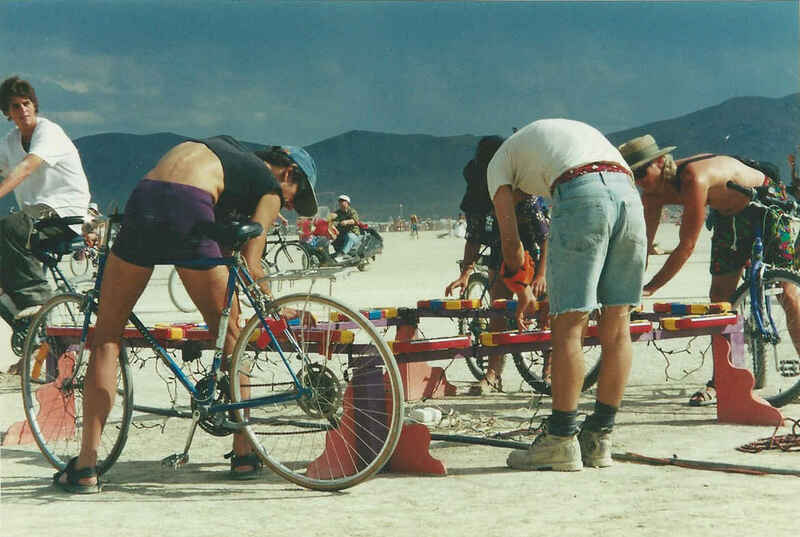 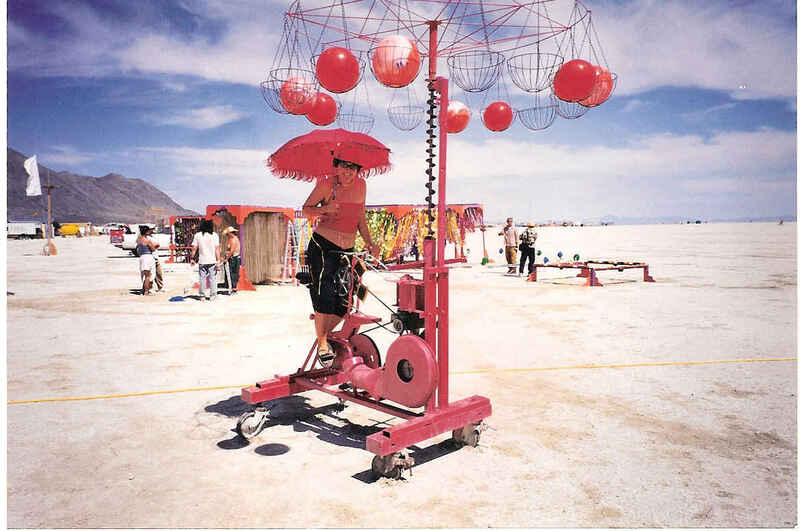 Peter Inwood was a co-designer and also the fabricator of the modified-exerciser. 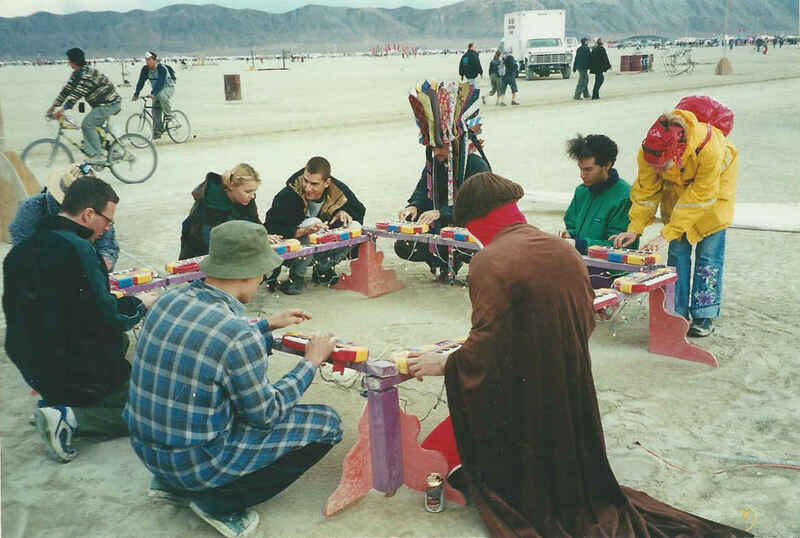 The more people worked on the device, the more visual motion there was to see.